We are announcing the launch of our coverage of the Cannabis sector today. 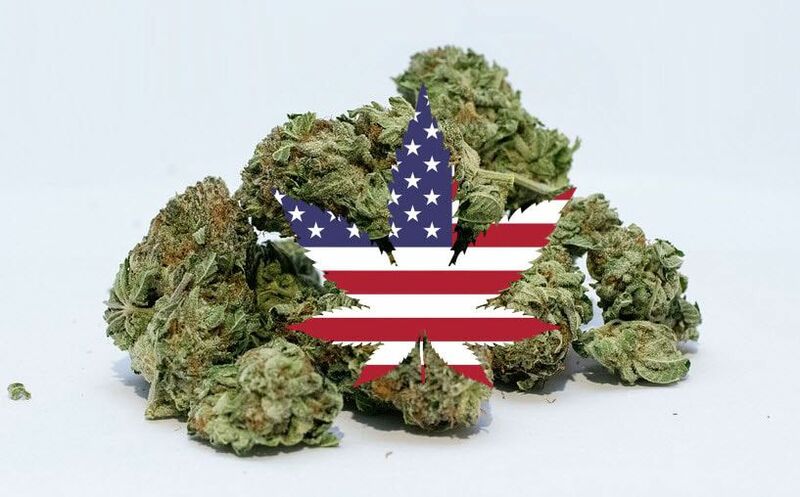 According to some very prominent Consumer Packaged Goods (CPG) companies, THC will become a massive commercial business, just like alcohol and tobacco. The chart below comes from Marijuana Business Daily, and shows some staggering growth potential in the commercialization of THC, which may have significant implications across a number of CPG companies. The current list of publicly traded companies is staggering and growing daily. Just like the dot-com boom and bust, there will be spectacular winners and losers and we intend to dig deep to identify those companies. 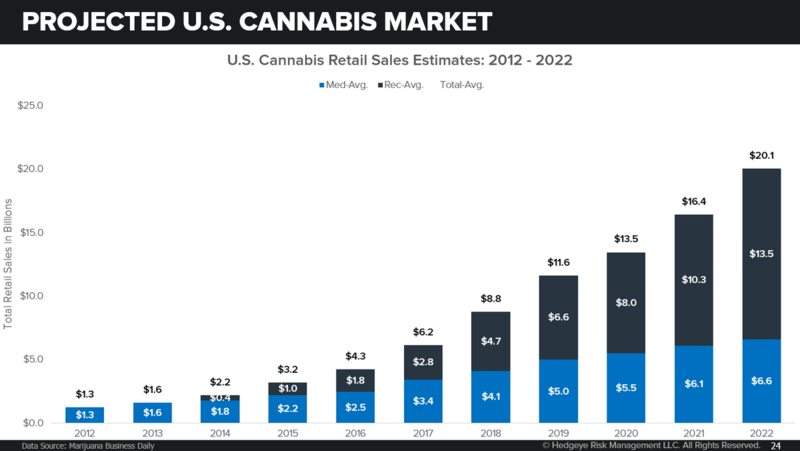 The addressable market for medical/recreational cannabinoids in the USA, Canada and globally. The legal/policy framework for THC to become recreational in the USA over the next five years. Providing a framework for understanding the market for cannabinoids and the primary players involved. If you are an institutional investor and would like to be included in the sector launch email sales@hedgeye.com.